A selection of holiday cottages in Purbeck. The Isle of Purbeck, whilst not a true Island but a peninsula, has been safely protected from the vagaries of the modern world by the River Frome and still feels a world apart. Purbeck is famous for its diverse landscape, coast and geology, making it a perfect location for a self- catering holiday. Its exceptional geology has led to a rich landscape and has therefore been inhabited for thousands of years. This holiday hot spot is dotted with many interesting, vibrant coastal and rural villages. These include, Kingston, Worth Matravers, Langton Matravers, Kimmeridge & Church Knowle, to name but a few. All lie within easy reach of the Jurassic coast with rugged scenery and long sandy beaches. All of these exceptionally pretty Purbeck villages are built of the local Purbeck stone. Many are traditionally thatched with local reed. Summer time finds the Purbeck Villages host to a variety of summer fetes, barn dances, horse shows, flower shows and music festivals. Autumn and Spring are ideal times to enjoy the countryside, with a huge network of footpaths and open common land. Winter is a quieter time with many visitors enjoying local fayre in front of a roaring fire in one of the many excellent local olde pubs. 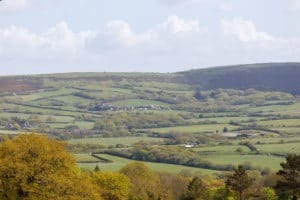 If you want to know more about this area before you book your Purbeck accommodation visit our Purbeck area page.